Meet your guide at the touristic port of Ushuaia in downtown Ushuaia. We will then drive 90 kilometers on the legendary National Route N° 3 and then Complementary Route J to historic Harberton Farm. The farm was founded in 1886 by an Anglican missionary, Thomas Bridges, and is still held by the family. Take a a 15-minute boat ride to Martillo Island on Beagle Channel. Martillo Island is home to an incredible colony of Gentoo and Magellanics penguins between September and April. 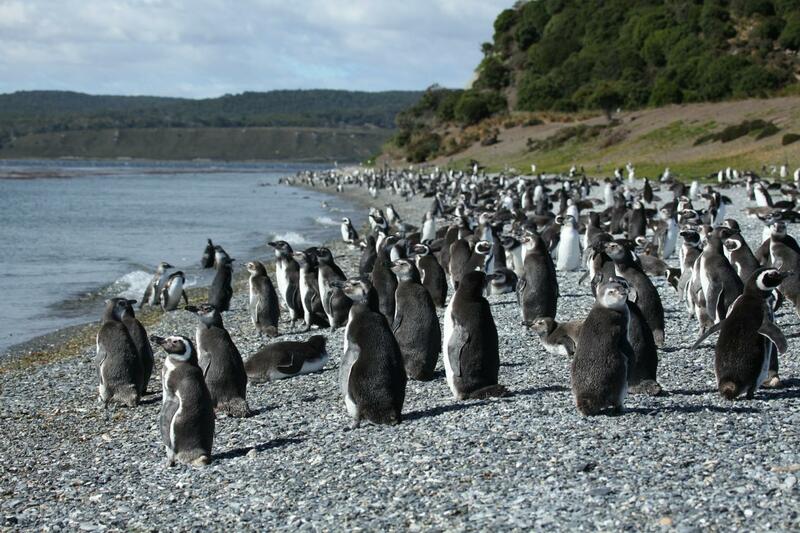 The rookery hosts around 1000 nests, and is one of the three Magellanic penguin rookeries in Tierra del Fuego. There is also a small colony of 9 breeding couples of gentoo penguins (Pygocelis Papua), the only one in South America. Enjoy a 1-hour guided walk amongst the penguins in groups of 20 people. It´s truly an unique experience! The penguins share the habitat with other birds, such as skúas, petrels, cormorants, vultures, and South American terns. Then we will sail back to Harberton Farm where you will enjoy free time to visit this traditional Estancia. Walk around the gardens, visit the historic buildings, see the Marine Mammals and Sea Birds museum Acatushun, and admire the views of the End of the World! Transfer back to the touristic port. Amazing!!! This tour was the highlight of our trip!!! We saw hundreds of adellie penguins in their habitat.